The family of Martin McGuinness will attend Sinn Fein's first ard fheis since the former Deputy First Minister's death, where the party has planned an extensive tribute for the republican leader. 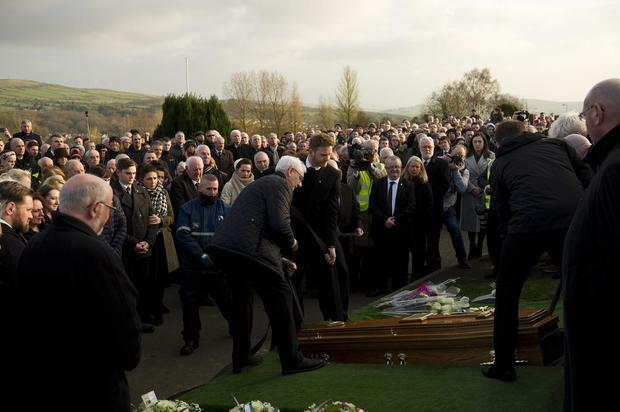 Mr McGuinness's wife Bernie and their children Fiachara, Emmet, Grainne and Fionnuala are all expected to attend, although it's unclear if any of them will address the gathering. Sinn Fein has provided few details about who will take part in the hour-long tribute, which will feature contributions from a wide range of speakers interspersed by musical interludes. However, it is known that there will be at least one international name among a host of Irish and British speakers. Party president Gerry Adams, Northern leader Michelle O'Neill and deputy leader Mary Lou McDonald are also expected to speak. As well as being a keen fisherman, Mr McGuinness was an enthusiastic amateur photographer and an exhibition of his work, along with some well-remembered images of him, will be on show at the RDS in Dublin during the ard fheis. The collection, which was curated by the McGuinness family, features photographs of his political career at home and abroad, as well as previously unseen images from the family's private collection. This is only the second time the public will have been given the opportunity to view the exhibition. It went on view previously in Derry during this summer's Gasyard Feile, close to Mr McGuinness's home in the Bogside.